Making a decision about buying a new puppy, or breeding a litter, is not a simple process. Read more below about looking for a new puppy! So, you have decided that you want to own a Versatile/HPR puppy! We can assume that you have already decided upon your breed of choice, that you understand the breed characteristics, and that you know why you want that particular breed and your primary purpose for owning it. You are set to embark on the exciting journey of searching for that special pup. What next? Where to start? How to find a good litter or reputable breeder? It is important to understand from the outset that your puppy will grow up and is likely live 10-14 years. This is a long time to live with a poor choice made in haste or out of ignorance. The decisions you make now will determine whether or not you get what you are hoping for! So, take your time and learn a little bit now about how to increase your chances of getting the right puppy for you. What do you want the puppy for? 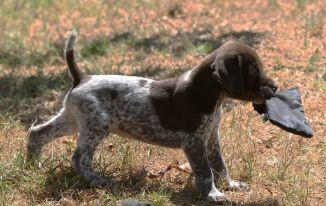 Is the puppy going to be a working versatile/HPR dog, or are you looking only for a family companion? Do you understand the breed’s activity levels and style of work? Are you prepared to put in the necessary time and effort to train and exercise a high energy puppy? What do you want in a working dog? Be specific, as this will help you when talking to breeders. How often do you hunt? Do you like a closer working dog, or a dog that ranges far? Do you hunt mainly waterfowl, upland, or a mix? Do you intend to enter the pup in working tests, field trials or possibly shows? You don’t need to know all the answers just yet, but thinking about the above questions will put you in a better position to make decisions, and be able to talk to breeders about what your preferences are. Whether you are looking for a working gundog or just a family companion, the general and most important guidelines are the same. 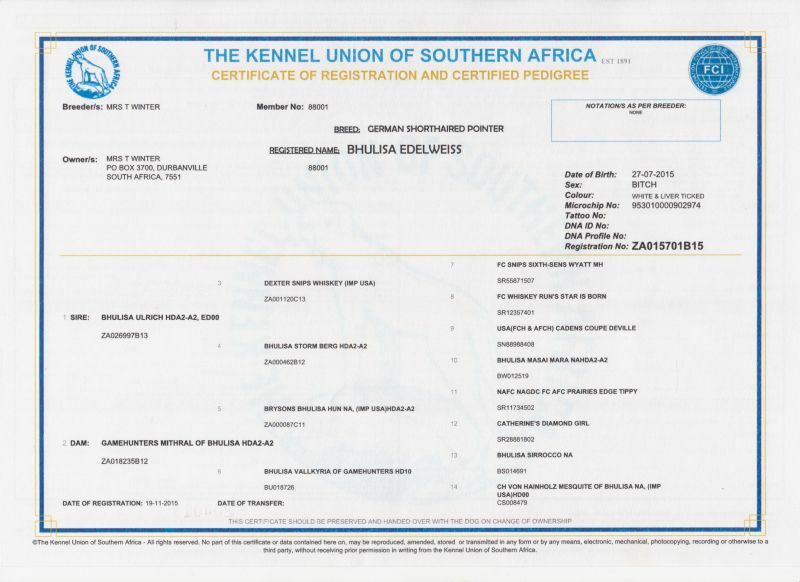 Ensure that the litter or pup is registered with either the Kennel Union of Southern Africa (KUSA) or the National Field Trial Association (NFTA). 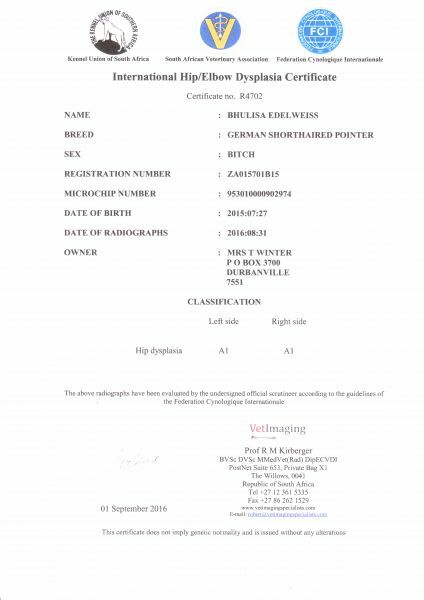 Litters that are registered with either of these organizations mean that the dog is purebred and that the breeder, and breeders before, have gone to the effort and trouble to keep the lines pure and the ancestry verifiable. Breeders in both organizations are bound to certain codes of ethics, and this may be very important to you as a buyer. Further, only dogs registered with either KUSA or the NFTA may be entered in tests, field trials and shows. That may not be your intention now, but very often people change their minds down the line and decide that they would like to test or compete with their dogs. With a registered dog you won’t have shut any doors in this regard and can always change your mind. All puppies are cute. That’s a fact. But it’s the Parents that matter! Most of the desired traits of good temperament and natural field abilities are hereditary. More often than not when purchasing a puppy, the buyer is unable to see the parents, either in the home or field. How do you determine what the temperament is like or if the parents possess the requisite natural abilities to become a good working versatile gundog? You only have the breeder’s word for it, and of course the breeder thinks their dogs are the greatest canines on earth. But, that is just one opinion, which may or may not be correct or even honest. Good health and longevity are also largely genetic traits. Hip screening for hip dysplasia, tests for eye defects, and other breed specific tests are available, and you should try to find a breeder that undertakes to test their breeding stock for the most important conditions that might affect that breed. All of the above takes time and effort from the breeder. It also takes a healthy financial outlay from the breeder. Puppies from registered, proven litters may therefore cost more initially, but it’s an investment that is well worth the extra initial cost. You will spend just as much during the life of a dog you are not satisfied with, as you will with one you are. Where to find a Breeder or litter? So, how do you go about looking for a breeder? Clubs and associations are a good place to start because they are at the forefront of offering working tests and field trials, and they bring together people and breeders from across the spectrum of the Versatile/HPR breeds. You may find a breeder or litter advertised on the Internet or on Facebook. If this is the case, look for breeders that belong to working Versatile/HPR clubs, that state the parents’ qualifications in tests or field trials, and that also state what health tests they do. Look for a statement that their dogs and litters are registered with the KUSA or the NFTA. They should be able to tell you what the parents are like and why they have paired them. Gumtree and other such sales forums are generally not a good place to look. The litters and puppies advertised here are usually from casual “breeders” that do not prove or test their dogs, or might not even work them. It may take some time to locate a breeder that satisfies the requirements recommended herein, but the wait will be worth it. What questions to ask a Breeder? Now let’s assume that you have found a breeder, from whatever means, and are going to follow up to find out if there are puppies available and if you want one. Please remember that you are the buyer and you have every right to ask questions and make a decision based on the information at hand, provided by the breeder and/or other sources. What questions should you ask? How long has the breeder had this breed and what is his experience with it? Does the breeder have previous experience breeding? 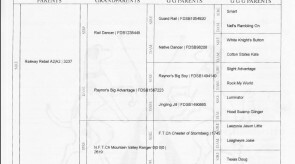 Are the parents registered with the KUSA or the NFTA? Does the breeder hunt his/her dogs and are the parents of the litter worked in the field? Can you see the parents work in the field? Does the breeder belong to any Gundog associations or clubs, working or otherwise? What working Test or Trial awards do the parents have? What health tests does the breeder do? For what reason(s) is he/she putting these two dogs together? What traits are expected from this breeding? Don’t accept the lame “good dogs” answer, most are good, but will this litter fulfill what your specific preferences might be? Can the breeder give a list of references? 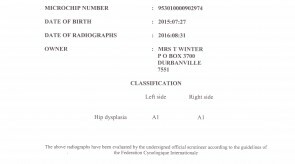 Can a club verify the breeder’s credentials? 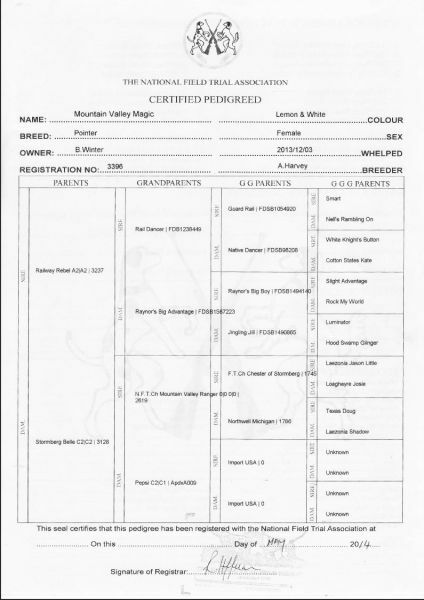 What information or documents should the Breeder be able to provide? The breeder should be willing to let you see the parents and puppies (if that is possible), or at least provide you with photographs of the parents, and perhaps video clips of them and of the puppies. 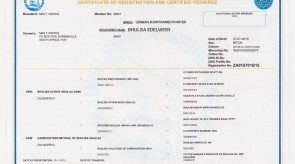 Registration certificates of the parents (see specimen examples below). You should ask to have copies up front, in case something goes wrong after you have your puppy, or you are misled by the breeder. Don’t think this doesn’t happen…included here are two personal stories from people who have experienced this (see below). 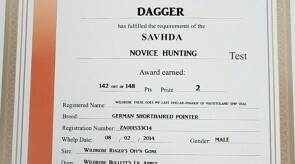 Certificates from working gundog tests or field trials of the parents, if the breeder has indicated that they have such. Veterinary exam, with certificate stating the good health of the puppy and that there are no problems apparent at the time of examination. If there are, this should be stated and made known to the buyer. Written information regarding vaccination schedule, deworming, feeding, and exercise. Information about socialization and training of the puppy should also be given, as well as the puppy’s current diet and general upbringing while in the litter. Finally, you may not necessarily be looking for a working dog, and have decided that you would like to go the Rescue route. There are a couple of very well-organized and dedicated rescue schemes in South Africa for the versatile/HPR breeds. © 2017 - 2019 South African Versatile Hunting Dog Association. 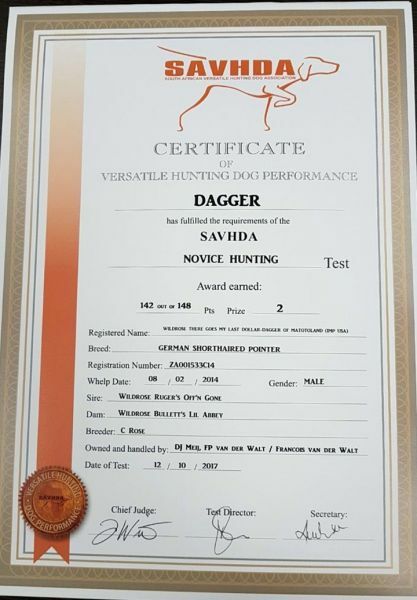 All images and text are the property of the South African Versatile Hunting Dog Association. Do not copy, duplicate or use without express permission.